Danielle serves as Co-Convenor of the Transnational, International and Comparative Law and Policy (TICLP) Network. She teaches constitutional law and various aspects of public international law. Her research interests include human rights, transnational crime, comparative constitutional law and public international law. Danielle completed a Bachelor of Laws and a Bachelor of International Relations at Bond University in 2002 as a Vice-Chancellor’s scholar, and then received a Chevening Scholarship to complete an LLM at the University of Cambridge in 2003. She also has a PhD from the University of Queensland. 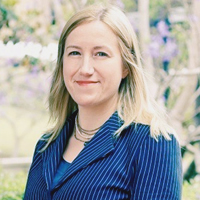 Prior to joining Bond University, Danielle was a Senior Legal Officer in the International Assistance and Treaties Branch of the Australian Attorney-General's Department. In that role, she delivered and coordinated legal training programs for foreign officials in the Asia-Pacific Region. Her employment history also includes time as a NSW Ministerial Policy Advisor in Community Services and Aboriginal Affairs, as a legal officer at the Queensland Crime and Misconduct Commission, and in private legal practice. Danielle was also an Associate to the Honourable Justice Kiefel. In 2014, she was awarded a 'National Citation for Outstanding Contribution to Student Learning'? and in 2013, she won the 'LexisNexis / Australasian Law Teachers Association Early Career Award for Excellence and Innovation in the Teaching of Law’. Danielle teaches Constitutional Law, Laws of Armed Conflict and Peacekeeping, and Contemporary Issues in Law and Society. Danielle also has teaching expertise in international law, transnational crime and human rights. / Australasian Law Teachers Association Early Career Award for Excellence and Innovation in the Teaching of Law’.